The chances that you meet someone with the same first name as yours is pretty big considering the number of people in this world. Those chances drop tremendously when considering the entire name of a person instead of just the first. It drops all the more when you only take into account the people who have exactly the same names and who are known globally. Some might even say that it’s impossible to find something like that but the existence of the many “Hiroki Yamada” s in this world is all you need to know to prove those people wrong. There are 4 different men named Hiroki Yamada that are known globally for different reasons. Given that FIFA 18 just ended, it makes sense to discuss the Hiroki Yamada that participated in the competition. This Hiroki Yamada was born on the 27th of December in the year of 1988. There isn’t much about his youth or how he grew into the player that you can see nowadays but it was clear that he was born to play football because he was able to go pro by the time he reached the age of 23. That happened in the year of 2011 and it would be the Jubilo Iwata club that would give him a chance to pursue his dream as a professional football player. In his rookie year, he put up decent stats overall. Combining all the games and goals he played in and scored during that year in all tourneys like the League and the Cup, he made 37 appearances and made 5 goals. That may seem like a bad ratio but scoring in football is a lot harder than scoring in baseball or basketball. With this said, playing 37 games to score 5 goals for your team isn’t bad at all. He improved his play during his second season by scoring more than double of what he did in his rookie year. All in all, he played in 39 games wherein he scored 12 goals for his team. 31 of those 39 games were appearances in their league wherein he scored 9 of his 12 goals. The other 3 goals that he scored during the 2012 season were from the League Cup wherein he made 6 appearances to collect his 3 goals. If you do the math, you’ll notice that he is still lacking 2 appearances and in 2012, those 2 were from the Cup that his club plays in as well. 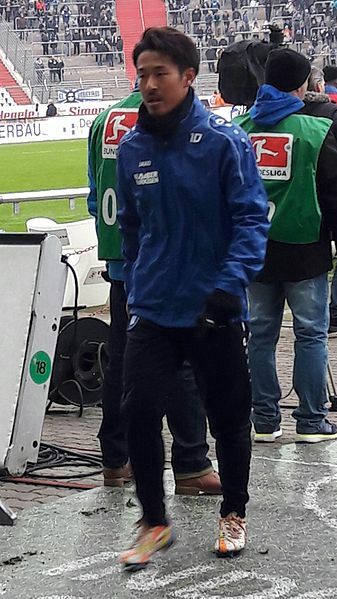 His 2013 season was a special one because it was the year that he got Karlsruher SC to get him. He scored 8 goals in 37 appearances and although it was less than what he put him from his previous season, it still proved that he was a tried and tested professional athlete. Unfortunately, the 3 years that he served in Karlsruher SC were pretty average as he only scored a total of 10 goals during the 3 years that he played there. In 2014, he scored 6 goals within 35 appearances. In 2015, he scored 3 goals in 32 appearances and in 2016, he scored 1 goal in 24 appearances. He was still very passionate about the game of football but it was clear that Karlsuher SC wasn’t where he fit. With this being the case, he took the ultimate risk as he made the announcement that he wanted to leave the club early in the year of 2017 and later on that same year, he would make his return to the Jubilo Iwata club. Within his first 4 appearances after the return to Jubilo Iwata, he already managed to record a goal which was a great start for him because he wanted to tackle issues with his doubters and turn them into believers. The recent FIFA World Cup 2018 was all over the social media and the news. There was even a website called futhead that religiously posted and updated their own Team of the Week or TOTW for the FIFA World Cup. It was held in Russia and the timeline for the entire Cup was not in February, August, or September. It was hosted from June 14 to July 15 and 32 squads participated in the cup with each squad representing their very own country or nation. Naturally, people had their personal picks on who would win it all and most people probably bet on teams like Argentina and Portugal because of the football superstar players that play for those teams. Amazingly enough, this World Cup was just filled with surprises that kept everyone on their toes. The mobile turf men or players of Japan were not really the favorite to win many games in the World Cup because of the heavy competition that the World Cup demanded. Despite this, they truly made a great run. Right off the bat, in their very first game against Columbia, they stunned the world by beating one of the favorites with the score of 2 -1. This game was followed up by their game with Senegal on the 24th day of June and it ended up as a tie with the score of 2 -2. 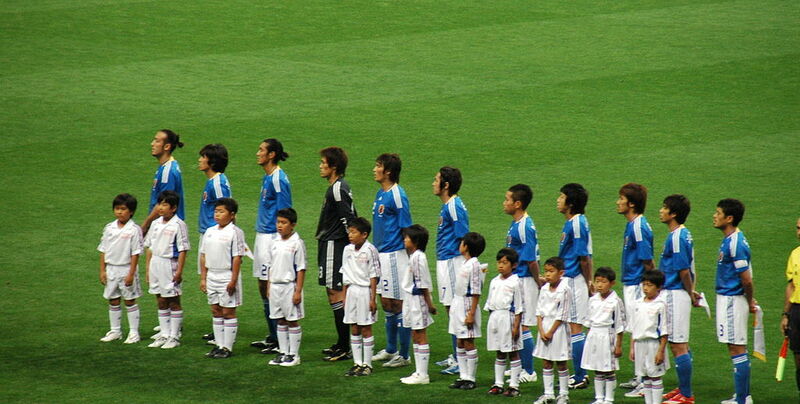 Japan then had a game against Poland 4 days later and sadly, they lost to them 0 – 1. People cried about the loss but not all hope was lost because even if they lost the game against Poland, they still had a chance to survive in the cup with a win against Belgium. They knew it wasn’t going to be easy but they did not shy away from the challenge. They gave it their all and let their heart for the game show. As a result, they found themselves up near the end of the game. Sometimes things just don’t turn out the way you plan and in this case, it was out of Japan’s hands that Belgium would go on to score 2 goals in the last minutes of the game to take the lead and beat Japan with a score of 3 – 2. It was heartbreaking but at the same time, inspiring because everyone who got to watch the game knew how much Japan tried to fight and compete until the end. They never wavered and that is why, despite the loss, they were able to capture the hearts of the audience. France would end up winning the whole World Cup but Japan would also get their time in the limelight to due to the other remarkable things they did during the cup. A perfect example would be how they cleaned up their entire locker room after their loss to Belgium. Their morale was at the lowest point after the game but, despite this, they left a thank you note in their locker room saying that they will treasure the experience forever. It was all over the internet and it was wonderful because it is these types of moments that remind you that winning isn’t everything. Naturally, the players’ social media accounts like twitter were swarmed with heart-warming greetings from people all over the world after the World Cup. 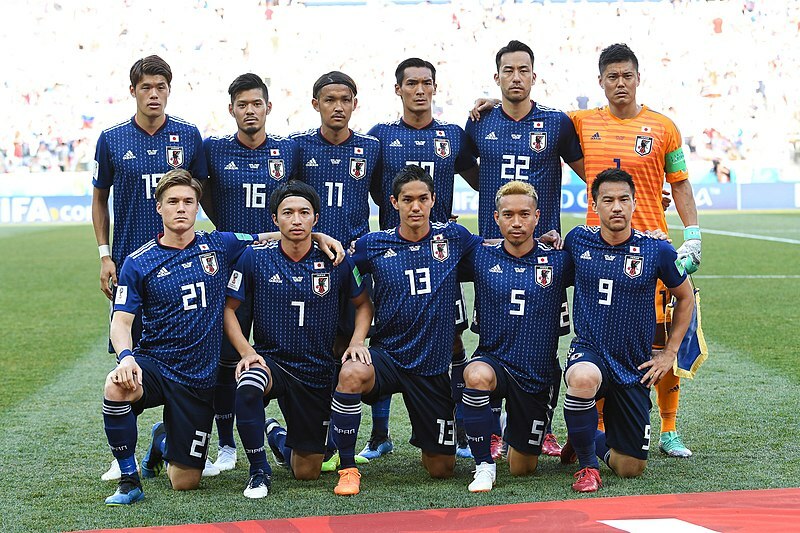 Even the Prime Minister of Japan tweeted a thank you message to players like Hiroki Yamada for their amazing representation of Japan during the World Cup. This tweet was, of course, retweeted by thousands and it was fitting because they deserved to be given attention for all the good examples they left the crowd with during their time in the World Cup. Considering all that the team attained, the builder of this specific group should be given recognition as well for the amazing job and he or she did scouting and recruiting these players to play for Japan. Now that the most famous Hiroki Yamada has been discussed, you can now learn about the other known Hiroki Yamada in the world. As mentioned earlier, there are 4 globally known people named Hiroki Yamada and one of them was the football player talked about above. Coincidentally, the other 2 “Hiroki Yamada”s of the world are also athletes who play the sports of ski jumping and baseball while the last Hiroki among the 4 was known to be a gifted guitarist and composer. There isn’t much about the composer because he lived in a different era as compared to the other “Hiroki”s but there are quite a lot of details you can find about the other 2. The ski jumping Hiroki was born in the year of 1982 and he competed on a global scale that is why he is globally known. He played in the World Cup for ski jumping from the year of 2000 to 2006 and within that period, he was able to finish among the top 10 for 4 times. He also participated in the Winter Olympics of 2002 which was held in Utah but he was only able to finish 33rd for the normal hill event and 5th in the team event of that Olympics. 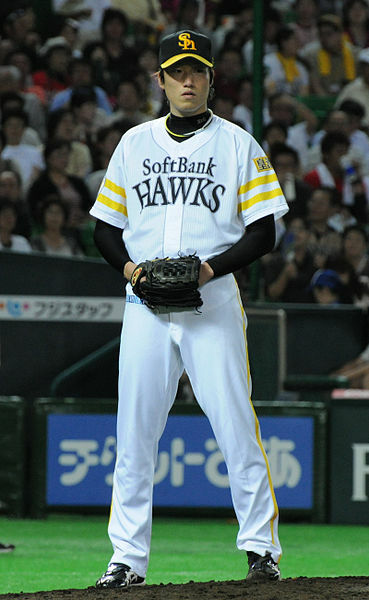 People find it very weird that 3 of the 4 Hiroki Yamada’s in the world ended up being professional athletes in different sports. The probability of such a thing occurring is nearly zero but it is what it is and it is certainly an interesting fun fact to bring up when talking about probabilities as well as people in sports. If you are able to insert these facts smoothly into a passing conversation about these topics, you are sure to impress and amaze some, if not all, the people you are talking to and with this said, make use of this irrelevantly relevant fact about the “Hiroki Yamada”s of the world.